Everything about it felt right. Well, almost everything. I'll admit, some repairs were needed. And yes, some updates were in store. But the oversized, cozy, eat-in kitchen more than made up for the living and dinings rooms, both decorated with wallpaper that perhaps had been in vogue when purchased circa 1971. Despite the hideous wallpaper (which has since been torn down), the house met all of our criteria for that long-desired "dream home". My husband Bob and I found this house thanks to my new job, which required my family to relocate from central New Jersey and look for living space two hours to the south in the spring of 2004. The sale of our tiny townhouse gave us the money we never thought we'd have to make a down payment on a single family home. A small down payment, but a down payment nonetheless. We moved into our dream home and two months later, I watched my 7-year old daughter Melissa board a yellow bus, enroute to start first grade in a new school, in a new town. A new town with new friends to make! A new town with parks and playgrounds to explore! A new town with parades and festivals, quaint boutiques, and neighborhood restaurants where you'd be sure to run into familiar faces week after week. Our home played host to holiday dinners and birthday celebrations, sleep overs and pool parties. Our home played host to many a night spent helping Melissa with home work assignments, rehearing for school musical auditions, planning youth group events, watching movies together, or simply talking about school, friendships, and of course, boys. Many a night we sat in comfortable silence in the living room, Melissa working on the lyrics to an original song, while I held the computer on my lap, working on yet another blog. I knew that the days in our dream home were numbered. I knew we wouldn't stay there forever. I knew that the barbie dolls and building blocks that littered the living room floor would soon give way to video games and DVDs, backpacks and text books, and finally, college applications. And I knew that once my Melissa traded the safety and security of our dream home for a tiny dorm on some far away campus that Bob and I would be getting closer to trading in our dream home for something smaller, more manageable. I just didn't think it would happen so soon. My heart didn't want to let go. My heart wanted to hold on. My heart clung to precious memories of a place where Bob and I raised a sweet little girl and watched with awe and wonder and pride as she transformed into a beautiful, talented, smart, creative, ambitious young lady. A young lady in her senior year of high school. A young lady all too ready to take her rightful place this autumn as a freshmen at American University in Washington DC, three hours away. My heart held on, but I knew better, and so did my much more logical husband. College came with a price tag, and Bob convinced me that reducing our monthly mortage payments by downsizing would certainly help. 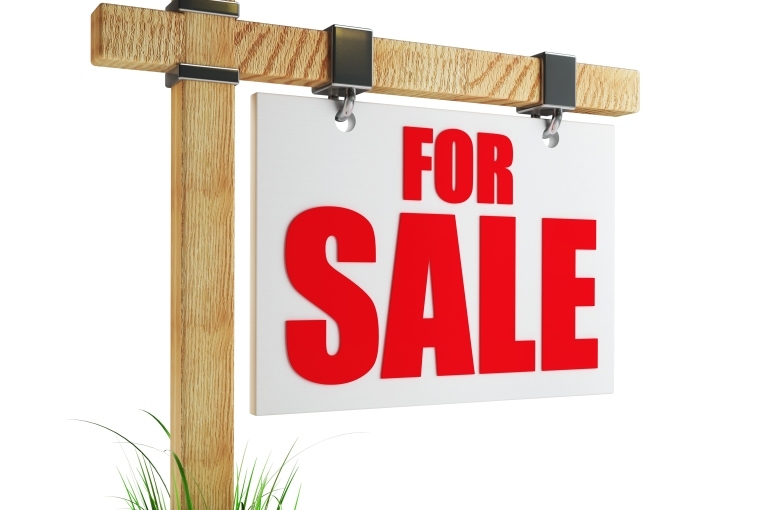 So today, a "For Sale" sign adorns our front lawn and before long, new owners will make their own memories within these walls. We plan to stay in or near the town we have grown to love. But no matter where we go, or where we live, the dream home where I raised my baby will always be mine. It will live on in precious memories. It will live on in my heart. The "Meet Baby Miles" party had been a huge success. 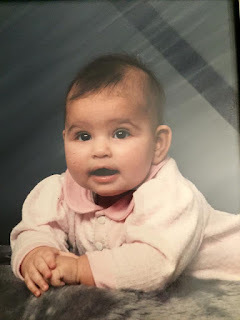 After five months of sharing photos and videos of our grandson with family and friends, my husband Bob and I finally had the chance to show off the world's cutest baby in person. As soon as they walked in the door we were greeted with smiles from Miles (rhyme intended! ), and those grins weren't only reserved for us. He cooed and smiled and laughed and delighted in being held by nearly a dozen of his biggest fans. At day's end, when the last of the family had walked out the door, Jessica decided to spend the night rather than tackle the long drive home alone during the late evening hours. She took Miles upstairs to my bed, and, with her sister (my 18-year old daughter Melissa) lying by her side, fed the baby, read him a book, and then attempted to lull him to sleep. Baby Miles wanted no part of it. I fought the urge to join them and instead stayed downstairs with Bob, determined to keep out of the way. I figured too many people in the room would serve as a hinderance rather then a help as they tried unsuccessfully to convince this adorable baby to enter a world of dreams. From the downstairs living room I heard laughter. I heard cries. I heard cooing. What I didn't hear was silence. Finally, I gave in and joined my daughters and grandson on the bed. The baby sat quite comfy in his Aunt Melissa's arms, smiling and cooing and doing nothing that indicated he would ever fall asleep. Taking advantage of my arrival, Jessica decided to leave us alone for a bit so she could get herself ready for bed. As his mother closed the door behind her, I cradled the baby in my arms. Melissa snuggled under the covers next to me, giving big smiles to her nephew, who returned her affection with giggles. Drawing on the motherly instincts that sat dormant for nearly two decades, I picked up baby Miles, placed his head on my shoulder, stood up, rocked him gently, and sang him a lullaby. The same lullaby I sang to my newborn baby girl nearly 18 years earlier. When Melissa had entered my life, I never knew, I never realized, I never imagined that I could love someone that much. I never thought that my heart would burst when I held her in my arms and rocked her to sleep, singing a Beatles song called "I Will" that I claimed for my own. A lullaby that would forever bond my daughter to me. I instinctively sang those words to my grandson as I rocked him gently in my arms. And as he slowly closed his eyes, I looked over at my 18-year old daughter cuddled so comfy in my bed. She too, had drifted off to sleep. The lullaby still worked. An unbroken bond held together by love. My 18-year old daughter Melissa at 4 months.The lullaby that worked then still works now! The hospital room in the maternity unit had suddenly become quite crowded. My husband Bob, 18-year old daughter Melissa, and I surrounded the bed occupied by our daughter Jessica and her husband Brian, who cradled a tiny miracle....their newborn son, Miles. Although we could have easily stared at our grandson's sweet face for hours, logic dictated that this labor-weary couple desperately needed rest. While killing time over sandwiches in the hospital cafeteria, Melissa asked a question, that, little did we know at the time, would forever change her destiny. "Dad, how far is American University from here?" Predictably, Bob whipped out his trusty iPhone and repeated the query to Siri, who informed us that travel time to our destination consisted of a mere two miles. A few minutes later we arrived at the Washington, D.C.-based school with the goal of simply running into the Admissions office to pick up a few brochures, then returning to the hospital. As luck would have it, we stumbled in at the start of a campus tour, and although we lacked a reservation, the sweet woman at the registration desk invited us to come along. By the time we showed up again in the cramped hospital room, American University had moved to the top of my high school senior's "must apply here" list, a compilation that also included colleges in Philadelphia, Boston, and New York State. 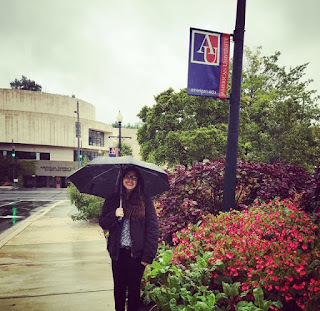 American University only accepts about 7,000 of the 17,000 plus hopefuls who apply each year, daunting statistics that did not deter my daughter one bit. We attended seminars hosted by admissions counselors, watched videos created by current students, and digested every word on the school's website. Through her research, Melissa carefully and methodically made the choice to apply Early Decision. This type of application is a binding agreement, meaning, if accepted, Melissa must agree to enroll. So while my offspring began the arduous process of completing the application and responding to 3,974 essay questions, Bob and I began the arduous process of responding to the 3,974 questions on the financial aid forms. 2. Do you own a car? 3. Do you own any vacation properties? 4. Do you own a business? 5. Do you own a lawn mower? 6. Do you own a blow dryer? 8. Would you be willing to sell all of the above to finance your child's college education? As the Early Decision application deadline approached, Melissa received an invitation to come back to American for a more in-depth experience, including another tour (during a cold October rain storm) and the opportunity to sit in on an actual classroom session conducted by one of the school's esteemed professors. The day also included a helpful seminar on financial aid options, where the prospective students gave their full attention struggled to stay awake while their parents popped Xanax and planned how they'd live out their golden years inside a cardboard box atop a city street grate. Finally, the day arrived. The essays were written, applications were complete, financial aid forms were turned in. With little fanfare, Melissa hit "submit". Next on the college search agenda? Wait. First we were told a decision would be forthcoming by December 31, 2015. Then we were told a decision would be forthcoming anytime between December 15 and December 31. Either way, those dates seemed like 4,375 weeks aways. So all we could do was wait. December 15th came and went. Same for December 16. On December 17 my cherub called me at work. Seems a friend who had also applied Early Decision to American had already posted about her acceptance on Facebook. Yet Melissa still had not heard a thing. No acceptance letter came in the mail that day, leaving Bob and me fearing the worst. "Let's check your portal page on the school's website," I suggested. "Maybe it will tell you if the letters have been mailed." As luck would have it, moments after a peek at the portal page, which revealed absolutely no information whatsoever, her cell phone began to ring, indicating a call from a Washington, D.C. area code! 1. Ended the phone conversation. 2. Looked at her parents. 3. Shouted "I GOT IN!" Happy tears! Tears of joy! Tears of relief! And I cried right along with her. Tears of joy! Tears of pride! Tears of sorrow and loss as the realization hit with full force....my baby will be going away to college. My baby will be leaving home....leaving me. But for now, I will treasure every moment as she experiences all of the "lasts" of senior year and prepares for the next, exciting chapter in her life. 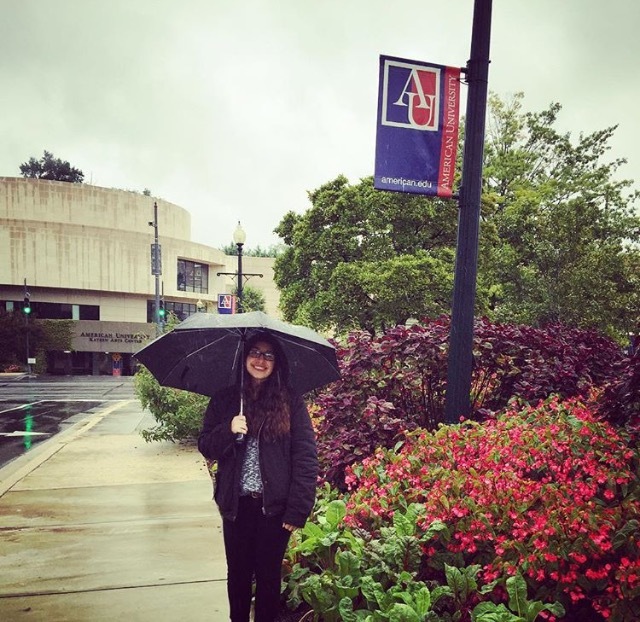 Congratulation Melissa, American University Class of 2020!